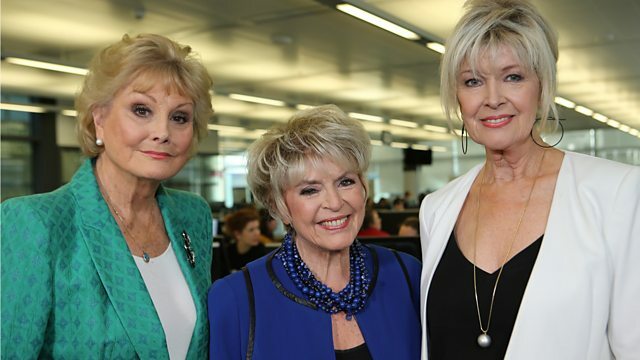 Gloria Hunniford, Angela Rippon and Julia Somerville return with the series exposing rip-off raw deals and poor service. They test the claims of a cash for gold company. Angela Rippon, Gloria Hunniford and Julia Somerville return with a brand new series of the programme that battles on behalf of viewers who feel they've been ripped off or had a raw deal - and tries to get their problems resolved. Among today's stories, an experiment to test the claims of a cash for gold company - how much do they really pay out? And a woman on the warpath over her rocketing insurance premiums - could we all find ourselves paying the price for this year's floods? Plus, unmissable advice to stop YOU being ripped off - and the team opens the Rip Off Britain Pop-Up Shop, solving consumer problems face to face in Gateshead. What does your holiday insurance really cover? The Sale of Goods Act 1979 protects consumers who buy from traders by adding statutory rights to every contract. Under the Act if you buy something from a shop that is faulty, not as described or breaks down sooner than you could reasonable expect you can get a refund or repair. This also applies to second hand goods, if you’re sold a product with an existing fault and it wasn’t made clear to you when you bought it - you should be entitled to a refund, repair or replacement. When you buy at a distance, online, over the phone or by mail order, you have the same rights as you would if you made the purchase in a shop and you are also protected under the Distance Selling Regulations 2000. This means that if you change your mind you can cancel up to (normally) seven working days after the date you received the goods and receive a full refund. While at first glance selling your unwanted jewellery may seem a great way to earn money Rip Off Britain has uncovered that it’s not always the golden opportunity that’s promised. Sylvia Rook from the Trading Standards Institute told us: ‘There is a wide disparity in how much shops or dealers will pay for gold’.